The tale of an Industrial IoT startup discovering a new strategic business tool. Augury is bringing predictive maintenance technology to new markets. The technology combines two key shifts in the industry: artificial intelligence and the Internet of Things. The intersection of these trends allows Augury to provide machines with a mechanical nervous system and the awareness to optimize their own health, thereby accelerating human productivity and safety. 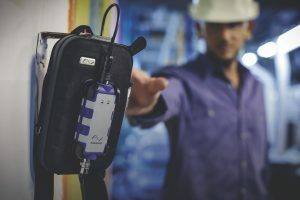 Founded by Saar Yoskovitz (CEO) and Gal Shaul (CTO), and backed by leading venture capitalists, the company was recently recognized for its standout contribution, named one of CRNs Internet of Things top 50. In the following blog, Co-founder and CEO Saar Yoskovitz describes how they chose their first market opportunity, with the help of a newly designed business tool. 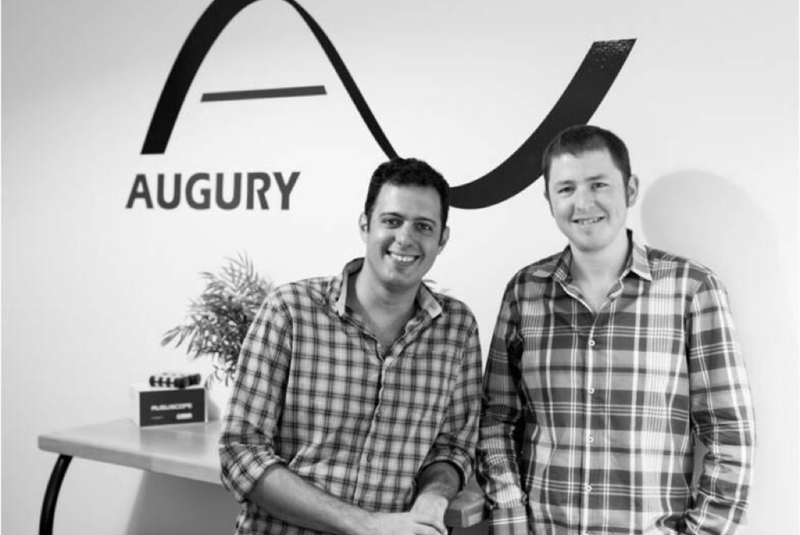 When we founded Augury, we had a very clear vision in mind: ‘machines talk, and we should be able to understand what they are saying’. We wanted to develop a technology that listens to the sounds machines make to diagnose their problems and predict malfunctions. An initial technological investigation revealed that developing this technology would be challenging yet doable. As we started working on this project, we quickly realized that machines are literally all around us – all the way from complicated manufacturing lines to simple home appliances. This raised an even more challenging question for us – how can we know what type of machine we should listen to, or choose which target market to focus on? At times, it seemed like the possibilities were endless. As we looked closer at the market, many verticals were underserved by the existing solutions that were expensive and complicated to use. As a small team, we knew that we couldn’t possibly tackle all of these verticals at once, and therefore, had to focus our efforts on one. But choosing a beachhead can be a complicated task. We put great effort into narrowing our options to few market opportunities that we could more deeply investigate. It ranged from cars and complex industrial machinery, to air-conditioners and even the human body. We then embarked on the time-consuming task of researching these different markets to ensure we had all the necessary information at hand to make the right choice. We followed the Lean Startup approach to test our assumptions on each of these market opportunities. We performed interviews, showed mockups, handed out surveys, and visited several conferences to validate our assumptions and to better understand the business environment of each option. The more information we gathered, the more perplexed we felt. We tried to work systematically and to document our learning, but each iteration generated even more questions to be answered. Each option had different upsides and downsides, and it felt like comparing apples to oranges lacking a clear framework through which to put all the options on the same map. Eventually, after many hours of research, hard work and tough decisions, we found our way and began to navigate the industrial markets. When I later learned about the Market Opportunity Navigator, it was abundantly clear to me that such a tool would have helped us focus and streamline our decision-making process. And we have been using the tool ever since. 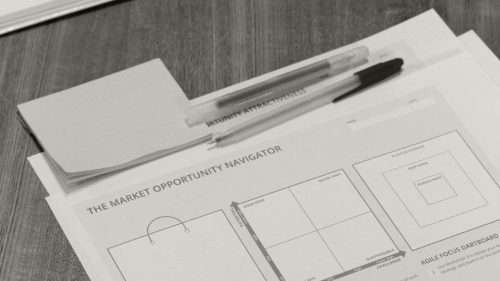 The Market Opportunity Navigator , a new business tool designed by entrepreneurship professors and researchers Marc Gruber and Sharon Tal, helps founders set a smart market strategy. The Navigator is a structured framework for identifying, evaluating, and strategizing your market opportunities. It is visual and easy to apply, with 3 dedicated worksheets to walk you through these 3 steps. But most importantly – for us at least – we found a way to make sense of all the data we gather, and make more informed choices. At the heart of this method lies the Attractiveness Map – a simple two-by-two matrix, to map out your options based on two dimensions: the potential of each market, and the challenge in capturing it. A special worksheet guides you through the process of measuring each dimension. The overall potential is assessed by evaluating the compelling reason to buy, the market volume and the economic viability of the opportunity. The overall challenge is assessed by evaluating the implementation obstacles, the time to generating revenues and the external risks. Once you are done, you can place each option on the Attractiveness Map, and finally compare apples to oranges. The matrix divides your options into four groups: Moon-shots (high potential, high challenge), Gold-mines (high potential, low challenge), Quick-wins (low potential, low challenge) and Questionable opportunities (low potential, high challenge). For us, it was great to see that we had a Gold-mine market opportunity – one that stood out over the others. It was the auxiliary equipment and infrastructure of large industrial and commercial facilities. A complicated strategic choice turned into a structured and manageable task. As a bonus, we also liked how the tool guides us through the process of designing our strategy to remain agile without losing focus. It guides us on how to select backup and growth options, and on how to devote the right amount of attention to keep them open. Now that our initial market is maturing, we yet again find ourselves searching for our next vertical. If you visit our offices you will see the sticky notes and worksheets of the Market Opportunity Navigator on our walls as we select our next market.